From time to time Jim Morrison collaborates with the Virginia Arts Festival to extend his North Shore Point house concert series beyond the confines of his neighborhood backyard to a slightly larger open space in downtown Norfolk. 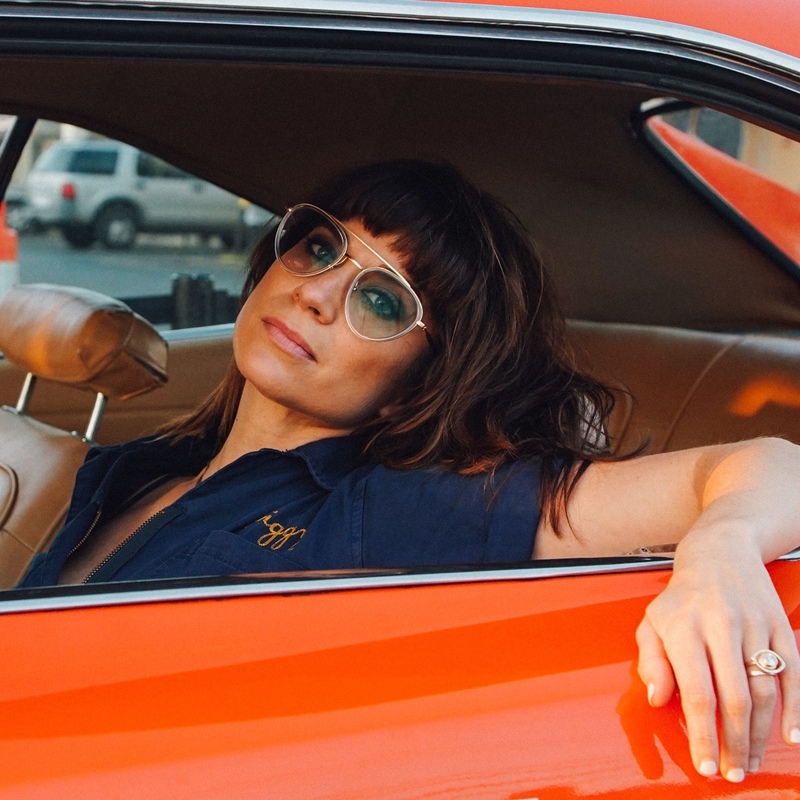 That’ll be the case when singer/songwriter Nicole Atkins and her full band arrive July 14 for what promises to be an electrifying evening of music featuring Atkins’ passionate, soaring voice. Atkins has released four studio albums and toured with Mavis Staples, Chris Isaak, the Avett Brothers, The Black Keys, Nick Cave & The Bad Seeds and others. 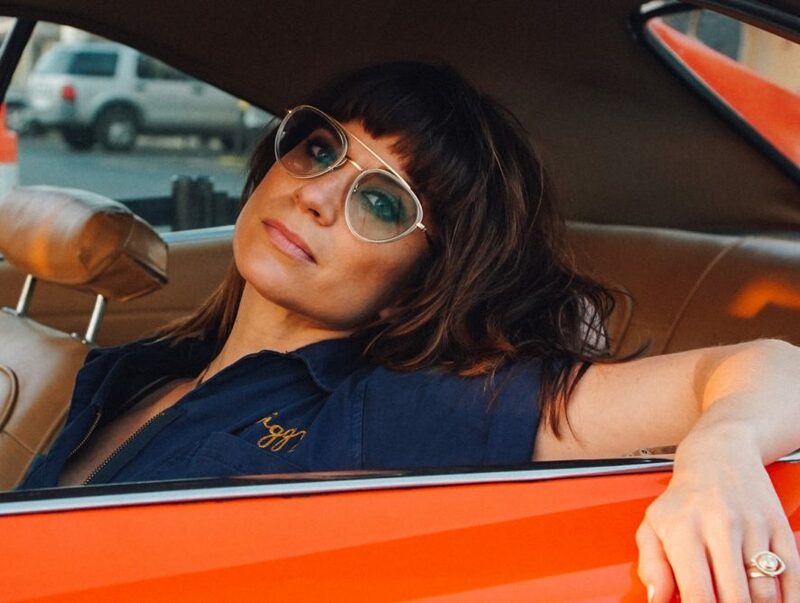 I recently spoke with Nicole Atkins to learn more about her most recent studio album, 2017’s “Goodnight Rhonda Lee.” Following is an excerpt from our phone conversation. I watched your music video for “Darkness Falls so Quiet.” It was full of energy, even though it was all shot in the recording studio. Do you enjoy that experience of making a video as much as the more planned-out, storytelling art of video? Shooting the video in the studio was all done using my phone. That’s something you don’t really think about. It’s like I’ll need this for when I’m old so I can look back. I have a lot of fun doing videos because it’s just getting to be creative. You come up with a storyline and have an alternative creative take on the song. Shock rocker Alice Cooper once explained to me that he writes lyrics for the stage character that is Alice Cooper. With your album “Goodnight Rhonda Lee” you wrote lyrics and music using Rhonda as a alias for your “bad behavior.” I wonder if you find it easier to write lyrics about your life, sort of, from the outside looking in as a form of self-reflection? I feel like it’s a mixture of both. When I finalize lyrics it’s always coming from my own life story, but kind of trying to talk to myself. In a way, you know, how’s it’s easier to give advice to a friend than follow it yourself? When a friend’s going through a breakup or through a hard time it’s easier to tell them to withdraw and be nice to yourself. It’s kind of notes to self. 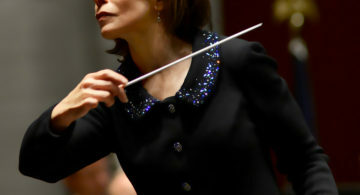 I’m also very strong melody based so I want to give the words what will send that melody home emotionally. What is your songwriting process like? Do you sit down with guitar or piano and write to lyrics? Usually, a melody will just come to me out of nowhere. I always have to sing it into my phone real quick. Then I’ll go back and listen to my voice notes. Everything comes in snippets. It’s kind of like putting the whole collage together once you finally sit down and get focused. Between my phone and notebooks, I have thousands of pieces of paper ready for me to dig in. I keep hearing you mention phone, whether shooting video or recording your voice. 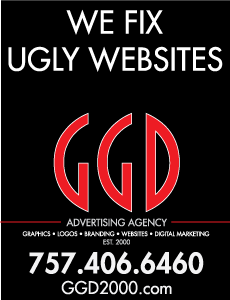 Do you have an iPhone or Samsung device? I’ve got an iPhone because when I tour in Europe I can use the iMessage if I’m on Wifi. I need to keep with what everybody has so I can get in touch. As a Jersey girl from Asbury Park, what influence has living in Nashville had on your music? It just made my workflow feel a lot more normalized. There’s just tons of musicians here. When I was in Jersey I was one of the only ones that was a musician and didn’t have a day job, so it was very lonely. Here (in Nashville) I can hang out during the day with other writers and musicians in bands who are off the road. We can work on music, or a least have lunch. I don’t spend a lot of time alone. It made what I do just what I am, rather than hanging out with all my friends from high school on the weekends when they get a (baby) sitter. I just have a lot more people like me around (in Nashville) so I don’t feel like such a weirdo. Or maybe I’m just surrounded by weirdos so I’m good. It’s a community. You really feel like you’re part of a community. All of my friends, we all play different types of music but we speak a same general language. “Goodnight Rhonda Lee” was recorded in Fort Worth, Texas with Niles City Sound as your backing band. Now that you’re firmly a Nashville-based artist, will you record your next album in Music City with local musicians? I’ll probably work with the same people I did last time because that was just such a great experience. We did everything live and on-the-spot. I realized that’s how I like to work. I’m very in the present, so I want to do that again. I’m working on more songs in the same stylistic vein as “Rhonda Lee,” but making them a little more funky, more New Orleans. When we play the show live I’m, like, I need four more songs people can dance to. People, with their iPhones and computers, are more connected than ever, yet more far apart. I’ve been writing a lot about that — about communication. You’ve got all these “friends” on the Internet, but really all you want is a friend in real life. Real human interaction is so much more meaningful now because it’s so easy now to stay in your bedroom and talk to people all day. Having a lunch with somebody or just putting your phones away and being present for people. That’s what I’ve been thing about a lot. That’s why live shows are so important. For two hours people can put their phone away and just be in the moment — and just remember it in your head. Go home and write about it in your journal. People need to get back into their own physical lives on the earth.